I also wrote this blogpost in Dutch, for all of you Dutchies out there! Click here for the Dutch version. – Move yourself from an uncomfortable desk chair and onto the sofa with a warm blanket. – Slowly scroll through this post and embrace the festivities! 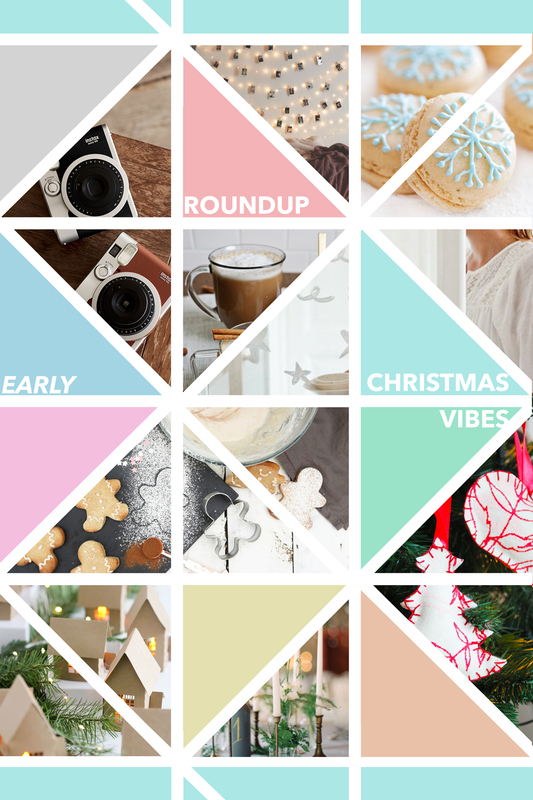 Since I have been excited for this years Christmas projects, I have been saving up a few of my favourite finds including fabulous projects, a great gadget store and delicious recipes! Which I will share with you in this post! A whole month dedicated to decorating my house in kitschy decor and twinkle lights? Yes please! Not to mention the fashion statements that come with this holiday. 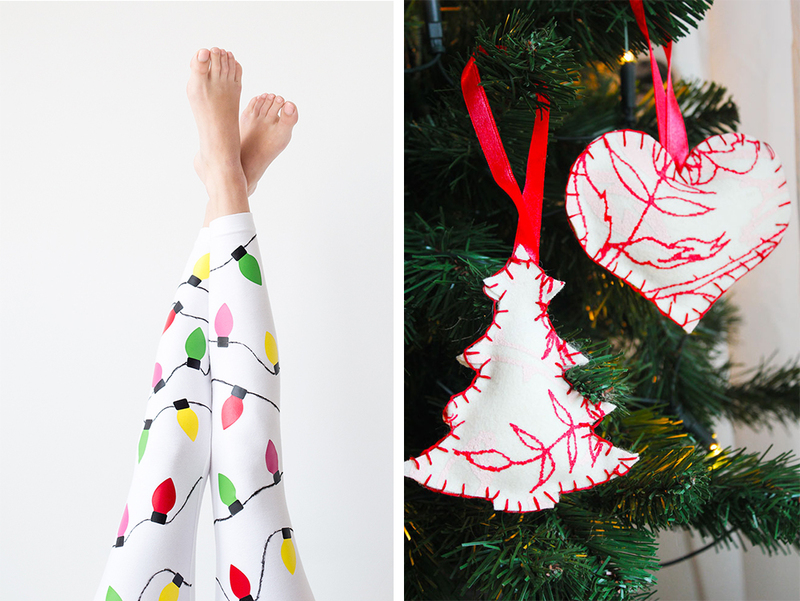 It always feels as a free pass to embrace guilty pleasures, such as sewing and wearing ‘ugly’ Christmas sweaters and covering an entire wall with Christmas lights. But there are also more subtle Christmas DIY projects as see you can see in the photos above. 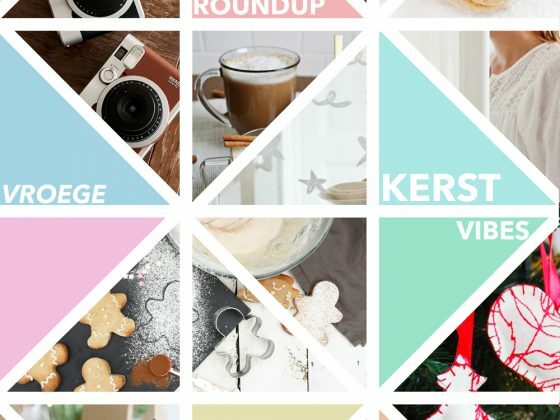 Whichever style you choose this December, it will definitely be craft worthy! 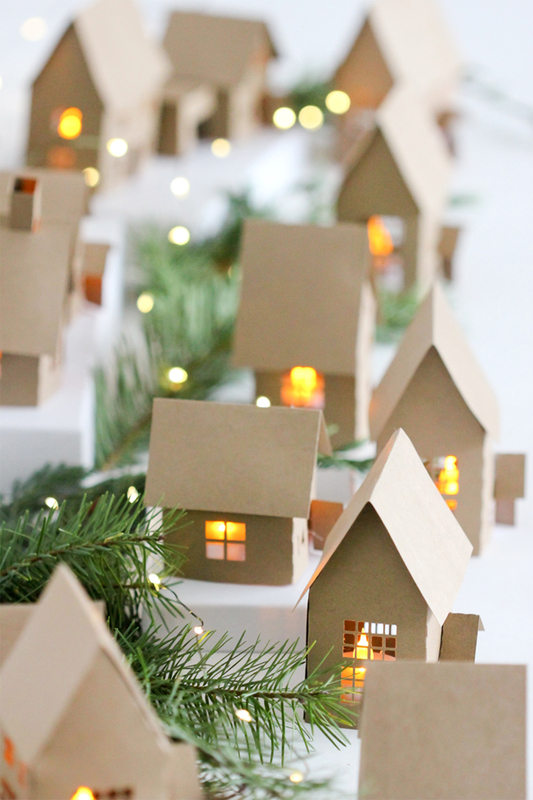 Project 1 – Tiny House Advent Calendar – I am in love with this stylish and subtle advent Calendar. And even if you are not into the “advent thing”, they also look great on their own. Project 3 – Felt Ornaments – When browsing through my old Christmas projects, I found these felt ornaments and remembered how fun and easy it was to make them! Maybe I will recreate them this year with a different style felt, how about you? 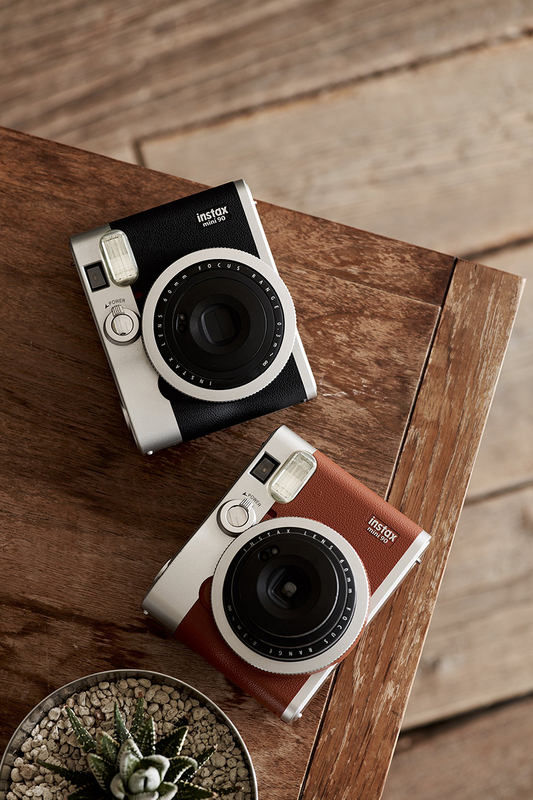 Item 1 – Fuji Instax mini – Oh, how I wish that this camera was waiting for me under the Christmas tree! There is something magical about instant photos and you could use it straight away to capture the gift giving evening. Item 2 – Christmas Coffee Stencils – Why should you only have fancy looking coffee or cocoa when going out? Also, I think I would also use these on my Christmas breakfast pancakes! 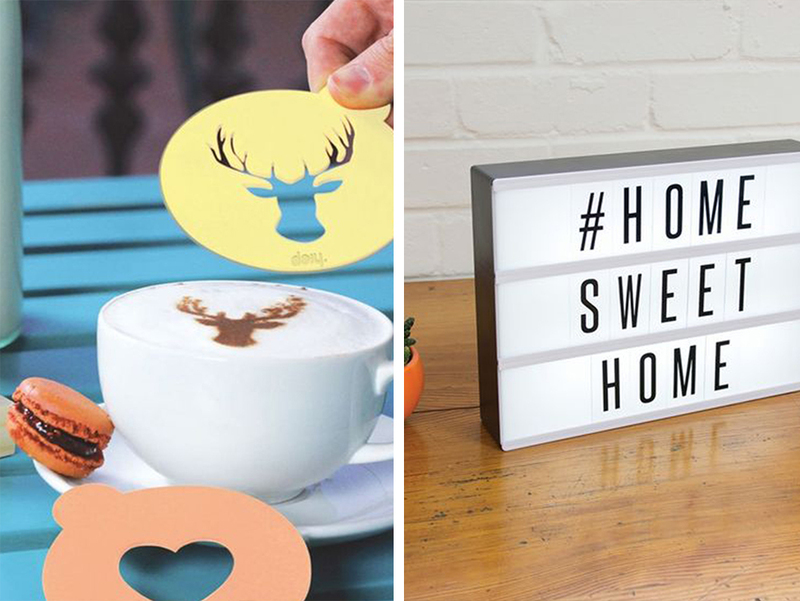 Item 3 – Letter Lightbox – My Pinterest timeline has been filled with professional looking letter light boxes in the last few months and I just love this trend! I found that it would be more expensive to make one than to buy one, so this item is just perfect! Item 4 – Happy Socks – I just love these socks! They always make me happy when they end up in my Pinterest Feed. I would however never buy expensive socks for myself, which makes it a perfect gift to ask. Item 5 – Scandinavian Inspired Ornaments – These beautiful handmade ornaments can be found on Etsy. I love the style and they would make a wonderful gift. Even if you don’t have the time, energy or space to go all out on Christmas DIY’s this year, that doesn’t mean that you can’t get creative! I always love to be inspired by editorial interior photoshoots and other peoples homes (you know, peeking into the windows when walking the street to look at the Christmas decorations). 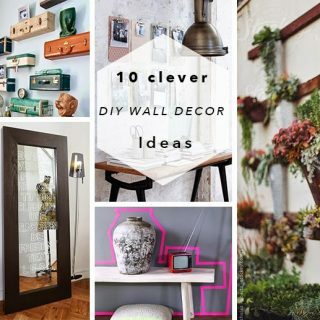 Here are some ideas that really don’t need any extra creative effort: you can simply copy the idea of the pictures and still have a fun and festive look in your home. Style 1 – Writing on glass – This photo was made by Ernie Enkelaar and love the idea of writing a holiday message on glass. You will usually see windows being decorated this season, but why not include the glass cupboard door or a pretty mirror?! 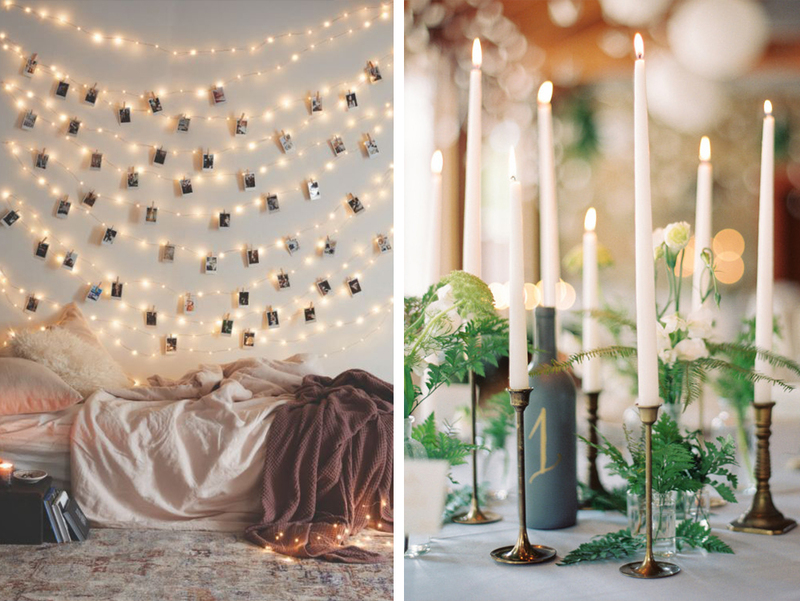 Style 2 – String Lights – There are so many fun string light DIY’s to be found online, but for those that don’t have the time or energy to start an elaborate project: simply hang the lines and use it as a fun way to display your photos or other small memorabilia. Style 3 – Taper Candles – Taper candles are really making a comeback this year and can be found at wedding tables, behing a Christmas window or simply on your sidetable. To create a fun effect: mix and match the taper holders or the colours of the candles. Besides DIY-ing, shopping and decorating, there is one other major category to get into the Christmas vibes: Tasty Treats! Not only will the taste blow you away, the scent will probably bring back many fun Christmas memories! 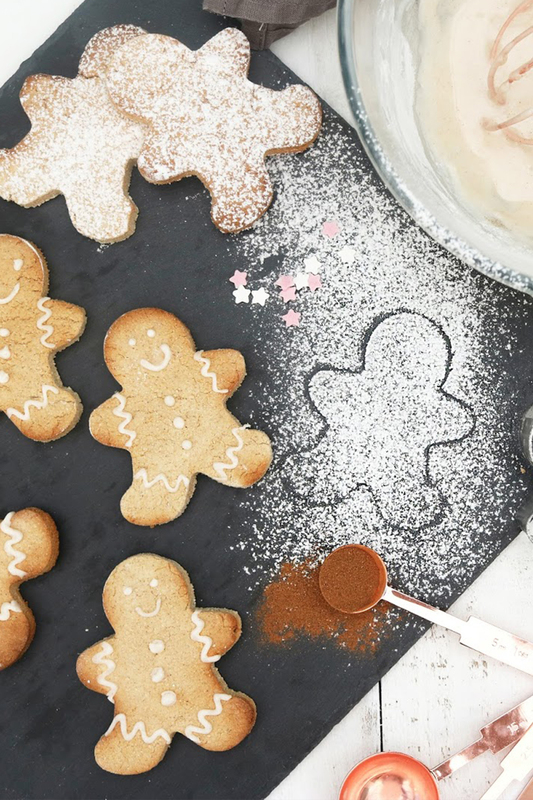 Recipe 1 – Vegan Gingerbread Man – How cute do these gingerbread man look? I bet that they are tasty as well, and will also be so much fun to make with kids! Recipe 2 – Snowflake Macarons – Pretty, pretty, pretty! That’s the first thing that I thought when looking at this picture. I have never made macarons before, but this recipe really makes me want to try it really soon! 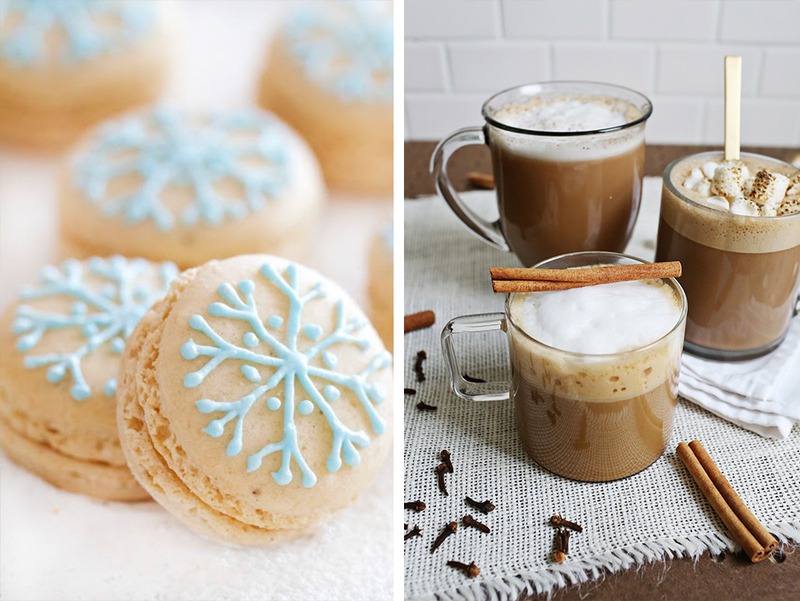 Recipe 3 – 3 Seasonal non-dairy Lattes – Not only tasty foods are appropriate this holiday, Warm drinks are also a must! And hot chocolate is definitely at the top of my favourite hot beverage list, but I do like to mix it up with other new recipes. These 3 latte recipes sound amazing and they are all dairy free! Ready for Christmas yet?! Or do you prefer to wait a little longer? Either way, I hope that you enjoyed this post and please let me know if you have any tips or great finds that will make this years Christmas even more special!